Economics - Politics - Prosperity Beckons in Vietnam: Are Canadian Businesses Ready to Take the Leap? Devastated by the destruction of a long and tragic war that reduced it to one of the world's poorest nations 30 years ago, today Vietnam is the rising star of Southeast Asia. The data is spectacular. In the wake of the county's first quarter expansion this year, we might ask ourselves: How often in recent years have full-time G7 members been able to boast of soaring growth rates of 7.38 per cent? Vietnam's liberalized economy and commitment to global integration led to a surge in the country's manufacturing sector by 13 per cent last quarter. Electronics manufacturing and exports are soaring. Samsung's Vietnamese-based manufacturing plants account for 20 per cent of all domestic exports. In fact, Vietnam is now an international production hub for smartphones and technological equipment. In Canada alone, imports of electrical machinery and equipment from Vietnam have risen 1,500 per cent in the last five years. With a population of 95 million, Vietnam is the world's 14th most populous country; 60 per cent of the population is of working age and 70 per cent of the population is under 30. It is estimated that by 2020 the country will boast a consumer-conscious middle-class of some 35 million people. 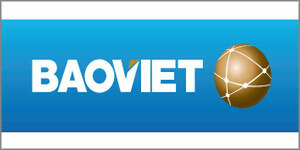 Small wonder Vietnam's long-term objective is to become an upper middle-income nation by 2035. Contemporary Vietnam is entrepreneurial, tech-savvy, and highly connected. In 2017, the 4G network was rolled out across the country laying the groundwork for the Internet of Things in Vietnam, big data and analytics, and finance technology, among others. 4G data speeds in Vietnam are far higher than in the United States and faster than the rest of Southeast Asia, apart from Singapore. Another remarkable facet of this 45-year-old relationship is the large numbers of young overseas Vietnamese, the Việt Kiều, who are now returning to their ancestral homeland with a very different perspective from their immigrant and refugee parents. Boot-strappers on the way up, cool, smart, progressive, these young global citizens will bring the spirit of change and innovation to Vietnam's hundreds of thousands of micro, small, and medium enterprises (MSMEs). Or they will create their own, as many are doing. Ho Chi Minh City today is one of the most important and smartest centres for startups in the world. Want to see how real change happens? Follow the millennials who will define the future of this enduring transpacific relationship. For Canada, Vietnam matters. Vietnam is Canada's fastest-growing partner in East Asia with C$6 billion worth of merchandise trade in 2017 and average increases of up to 20 per cent predicted over the next few years. Canada is currently the 14th largest investor in Vietnam, with 149 projects totaling C$5.28 billion. And Vietnam ranks first in Southeast Asia and fifth globally as a source country for international students in Canada, with over 14,000 Vietnamese students studying here in 2017. Canada's national expertise is in high demand. So are high-tech products such as machinery, bio-products, and chemicals. Canada is innovative in cleantech, agricultural technologies, food processing, medical, and pharmaceutical products. Canada's strengths in mass transit and road infrastructure, advanced engineering, and intelligent control systems, as well as renewable energy such as solar and wind, are all greatly needed in Vietnam. Vietnam's consumers have discovered Canadian lobster, king crab, and geoduck. Overall, Canada's agricultural products amount to roughly 50 per cent of our exports to the country. Apart from wheat and cereals, huge opportunities exist for soybeans, animal food, genetics, and oilseeds. Indeed, prosperity beckons. But it seems Canadians are still treading water in Vietnam, and the same goes for most of Asia. Canada is a trading nation whose prosperity – indeed national security – is fundamentally linked to the global economy. As the trade and investment relationship with the U.S., our key trading partner to date, continues to sour, and with NAFTA threatened on many fronts, Canadian business needs to be prepared to diversify, and to step up to where the new action is. To do so, however, Canadian companies and investors need to see a clear path ahead. This is where the government steps in. Mr. Trudeau's official visit to Vietnam on the occasion of the APEC 2017 summit set a new milestone in Canada's bilateral relationship with Vietnam. 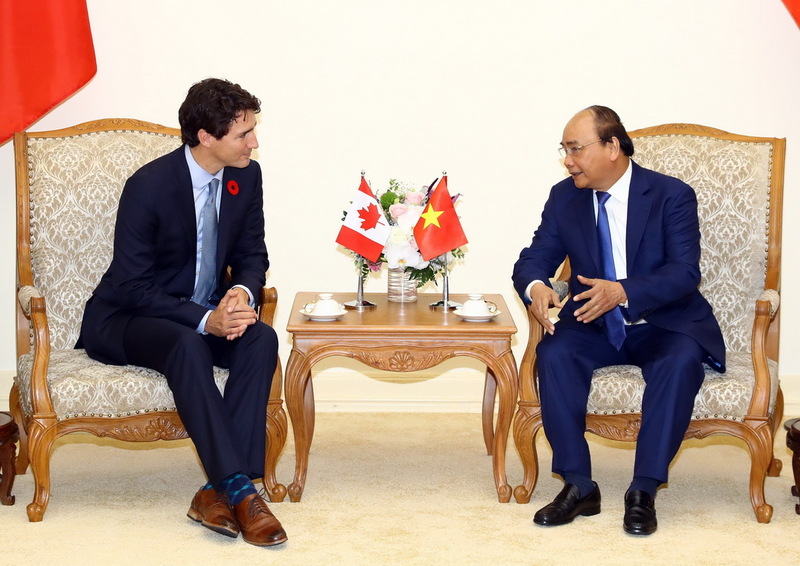 Prime Minister Nguyen Xuan Phuc and Prime Minister Justin Trudeau showed their determination to upgrade the relationship to new heights, furthering friendship and co-operation at many levels. For Canada, diversification of trade is a major national objective. For Vietnam, the visit was an important step in establishing a strategic/comprehensive partnership with Canada, with all roads leading to the greater industrialized world. Similarly, the Comprehensive and Progressive Agreement for Trans-Pacific Partnership (CPTPP), to which both Canada and Vietnam were signatories in March of this year, resets commercial relations in the Asia Pacific on a positive note at a time of tremendous turbulence in international markets. For Canadian investors and businesses, the CPTPP provides a rules-based trading environment offering greater transparency and predictability, along with much needed intellectual property protection and enforcement. For Canadian exporters, duty-free access for Canada's huge agriculture and agri-foods sector, among others, is critical. The CPTPP provides yet another track to greater engagement and collaboration between Canada and Vietnam. While it is clear that governments of both sides of the Canada-Vietnam relationship are willing to lead the way, the future will be built on the hard work, energy, and daily commitment of Canadians and Vietnamese together. In trade and business, in the arts and sciences, in diplomacy, tourism, and international education, new partnerships and relationship building will be critical to the future prosperity of both nations.